Tenders without any competition, lack of competition, deadlines favoring clientelism, and unjustified increased contract values. Monitoring of public procurement in the 61 municipalities of the country shows risk of corruption in 655 tenders, equivalent of 10% of the contracts. More than 60 procurement procedures were marked by a RedFlag in April only. AIS will soon publish the municipality corruption risk index. This is the result of an evaluation of more than ten thousand contracts signed in two years from the municipalities and ranked according to the RedFlag given for the problematic contracts in terms of their quantities and values. High incomes made by selling immovable properties and pieces of art, several times more than the money made through salaries. This is what characterizes self-declarations of the high state officials for 2016. Their declarations are being published online and are accessible for journalists and the public at large under the Power and Money Section of the Spending Data Albania portal. The subjects, however, do not declare who the third parties are in these very profitable contracts. Their identity must be disclosed and be subject to public and institutional oversight to see whether there is conflict of interest involved. Vote buying, violation of the right to vote, people with criminal records leading electoral teams, and misuse of public institutions. 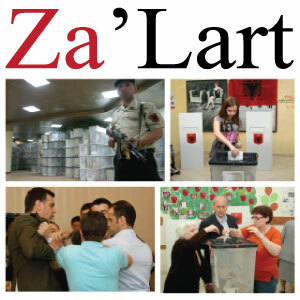 These phenomena are common in the electoral processes in Albania already signaled and reported in the 2013 and 2015 elections in the Citizen Monitoring Platform Za’Lart Albania. Such phenomena are also expected to occur in the 2017 elections. The project of our organization for electoral citizens’ monitoring, in the other hand, is not yet sufficiently financed for this watchdog process. Citizens have the right to raise their voice about electoral irregularities. AIS urges donors to take into consideration our request for fundraising. The Za’Lart (Raised Voice) Team urges also organizations engaged in building the democratic culture, embassies and other donors to provide financial support to this project.